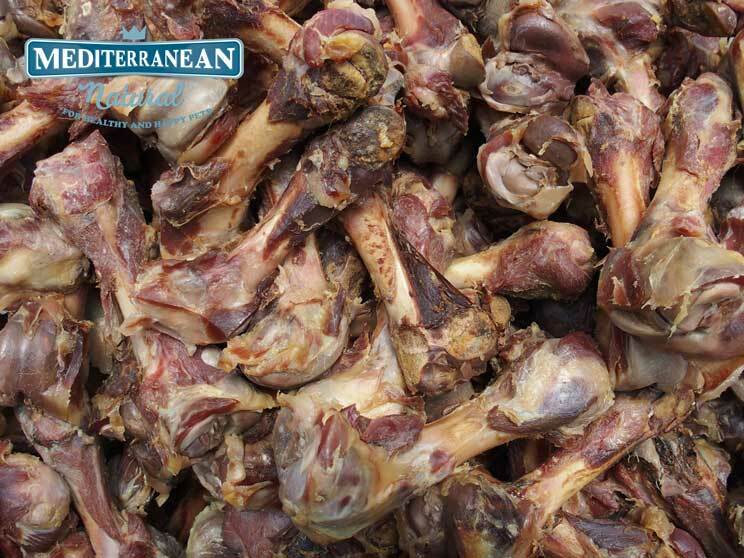 Mediterranean Natural Ham bones are Premium serrano ham bones for dogs made with raw material of Spanish origin. A 100% natural snack that helps strengthen teeth and remove tartar from your dog. The raw material selection is the first step and one of the most important when preparing snacks for dogs that meet the highest quality standards. For the manufacture of Ham Bones, Mediterranean Natural selects serrano ham bones of Spanish origin. Our suppliers are important and recognized professionals in the human food sector. We visit them regularly and there is a constant and fluid communication that allows a comprehensive quality control over the raw material. The serrano ham is a meat of high nutritional value, rich in protein and low in cholesterol and fat. It contains B vitamins (B1, B3 and B6), essential for the proper functioning of the metabolism. It also contains oleic acid, minerals such as iron, phosphorus, potassium, sodium and zinc (essential for the immune system and growth and development). Once the bones of serrano ham come to our facilities in Guardamar del Segura (Alicante), undergo a drying process that keeps all its nutritional properties and prevents splintering then easily when chewed and digested by the dog. The Ham Bones of Mediterranean Natural are not boiled. The department of physiology at the University of Murcia, thanks to the collaboration agreement signed with Mediterranean Natural, oversees the manufacturing process of Ham Bones and study the resilience of the product to the force exerted by the jaw dog. We select raw material and adjust our manufacturing process for our Ham Bones are a nutritious snack, quality and resistant nature, thus minimizing the risk of splintering. 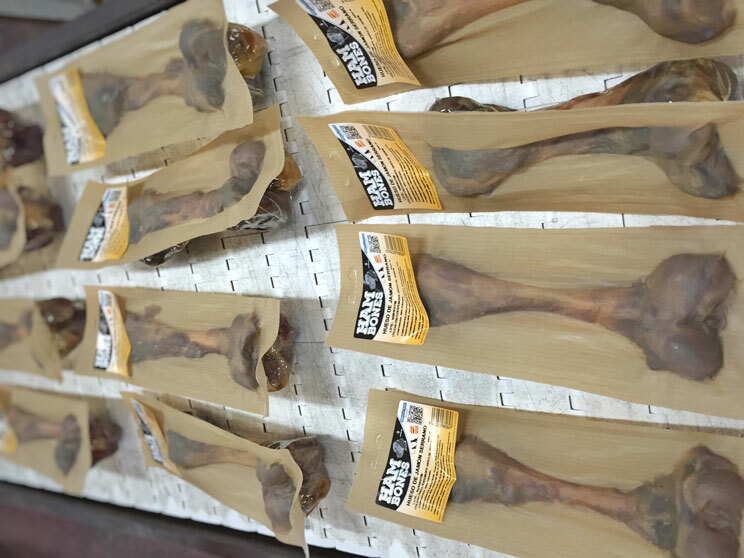 Later ham bones for dogs Mediterranean Natural pass a quality control (scanning and metal detection) and vacuum packed. Then their properties do not suffer any alteration and reach the consumer’s hands in excellent condition. Then they packed and prepared to avoid any damage during distribution to our customers. 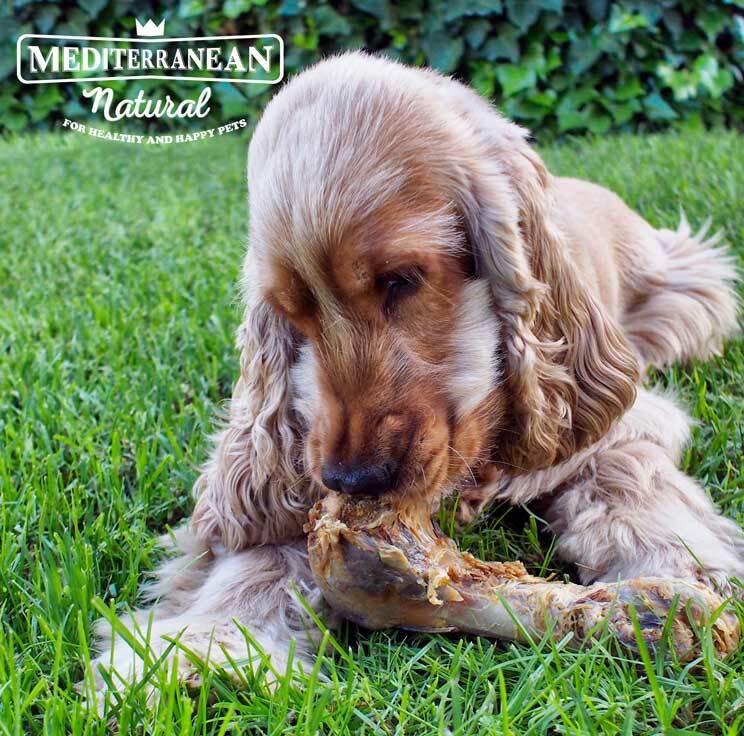 The Ham Bones of Mediterranean Natural should be given to dogs older than 4 months and are presented in the following varieties: serrano mega meaty ham bone, serrano ham bone, serrano ham knuckles, serrano mini ham bone, serrano ham trotter, ½ serrano ham bone (1 and 2 pc). 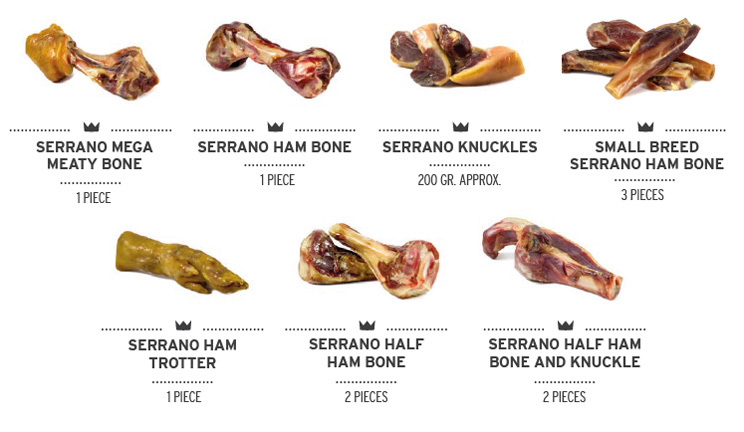 Each type of Mediterranean Natural serrano ham bone is suitable for dogs of different sizes: The bone must be bigger than your dog’s mouth. On our website you have all the information. Finally, remember that the bones should always be provided under the supervision of an adult and remove small pieces in case of splintering.